After a host of leaks and rumours, Tim Sweeney has finally put a few questions to rest. 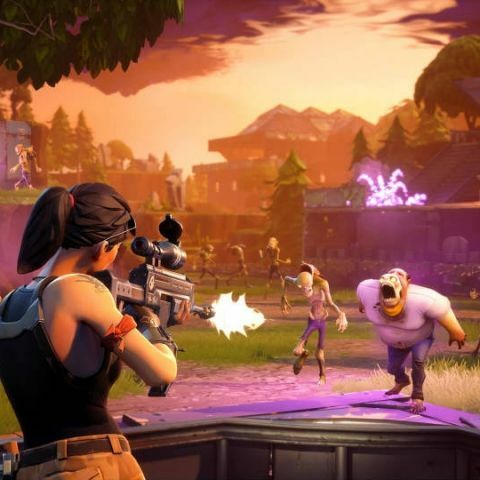 In an interview with Eurogamer, Sweeney answered many of the questions surrounded the long-overdue questions around Fortnite for Android. In the conversation, the most interesting was that Epic would bypass Google Play a delivery method for the game. If you’re eagerly looking forward to Fortnite on Android, once the game is released, you will have to download an APK from Epic’s own website. Once you’ve downloaded the APK, you’d need to install it. Once the app is loaded, it will pull all the assets from Epic’s servers, just like it does on the iOS counterpart. When asked is the above could open up gamers to potential malware attacks since they aren’t downloading the APK from Play Store, Sweeney said that gamers would need to adopt safe practices and get the APK directly from Epic’s website. Doing so, Sweeney says, will be incredibly easy once the game goes live. Another interesting piece of information was confirmed by Sweeney in this interview. Fortnight for Android would require some powerful hardware to run. Currently, he says the minimum requirement would be of that of a Samsun Galaxy S7, which was the flagship smartphone two years ago. Sweeney says that since Epic’s goal was to bring the PC-equivalent brilliance of the game to smartphones, the game does require some high-end hardware to run. Currently, the rumour is that Fortnite would be a Samsung Note 9 exclusive for 30 days before being available on other Android devices. If this is the case, we could see the game become official in the coming days as Samsung Galaxy Note 9’s launch is scheduled for August 9.